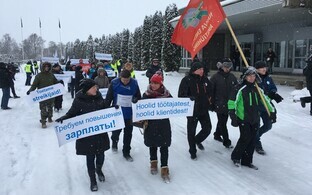 Henri Lindholm, secretary general of the Finnish Food Workers' Union SEL, said that Finnish food group HKScan must begin negotiations with the striking slaughter line employees of the HKScan Estonia-owned Rakvere Meat Processing Plant. 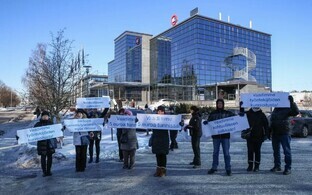 "We are encouraging HKScan to negotiate with its employees," Lindholm, who is also the representative of the Finnish HKScan trade union, told reporters on Friday. "At the same time, we are of course also holding a dialogue with the company in Finland and trying to find a constructive role here. We hope that we are able to restart negotiations." 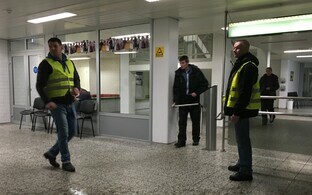 Lindholm said that the European Union Charter and the International Labour Organization Convention very clearly stipulate the freedom to form a trade union, be a member of it and sign a collective agreement. 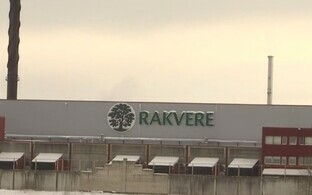 "It cannot be a sustainable business model for any Finnish or Western company to come to Estonia for cheap labor," Lindholm said, reaffirming that the ongoing events ongoing at the Rakvere plant are being very closely monitored in Finland. 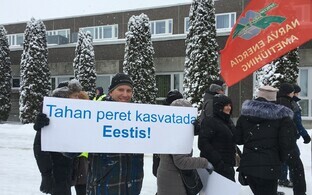 According to Estonian Trade Union Confederation (EAKL) secretary Artjom Arhangelski, HKScan's Estonian subsidiary has also forwarded misleading information to the parent company implying that it is necessary for at least 50 percent of the company's employees to belong to a trade union in order to form one in Estonia. Arhangelski said that HKScan does not wish to increase the strikers' wages, as the company fears that employees from other departments may then come forward with their own wage claims. "We are currently collecting wage claims from various departments and will push this into action," he said. Employees of the plant began an open-ended strike on Tuesday, Feb. 6 after a final attempt at talks on Feb. 1 failed.